Production Expert | Is Apple About To Make Using A DAW On A Laptop Much Easier? Patent Suggest They Might. Is Apple About To Make Using A DAW On A Laptop Much Easier? Patent Suggest They Might. 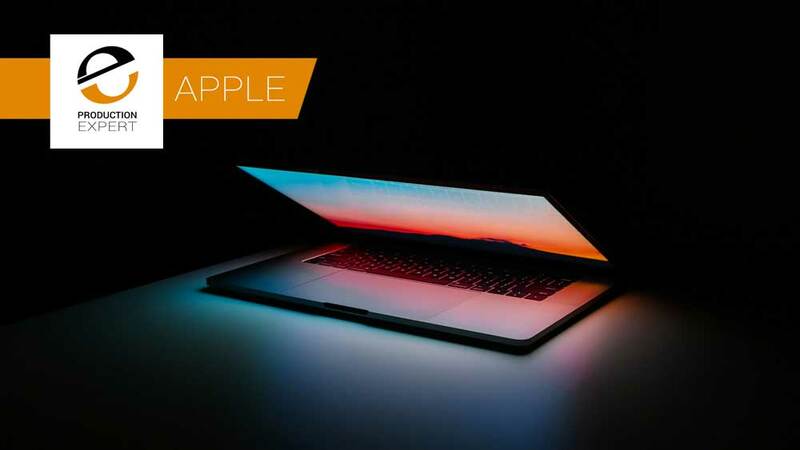 An Apple patent, first picked up by news website Inverse and then also reported by other Apple websites, suggest that Apple may be working in a laptop with a Retina display and a second ‘massive’ touchscreen that would work as both a keyboard and a second display. Jobs, when alive, had said the concept of giving laptops a touch screen was a bad idea because the strain on arms over any length of time would prove uncomfortable. However a glass screen to replace a keyboard so that the user can continue working in the same way marries both technical advancement with the concerns expressed by Jobs. Now if the idea of a second screen were true and it acted like a second monitor then the option to have your faders sitting right under your fingers on a laptop would make using DAW software a whole lot easier, perhaps the somewhat limited Touchbar on current Macs would be extended to the second cover the entire keyboard area. If this comes to fruition is a dual screen MacBook with the option to use the second screen for mixing something that would interest you? Do You Need One Of The Newly Announced iPads? The Air And Mini Have Some Old Features. How Useful Are These New iPads For Musicians? Did You Know MacOS Finder Can Search Audio File Metadata Like The Workspace Browser In Pro Tools Can?